Not just for cranky preschoolers, afternoon naps are a great way to recharge your problem-solving skills, creativity, and general productivity for the second half of your day. Try napping in a dark, quiet place—or use an eye mask and ear plugs. Keep your nap time to under 30 minutes—or if you are really exhausted and can afford the extra time, nap for a full sleep cycle of 90 minutes. 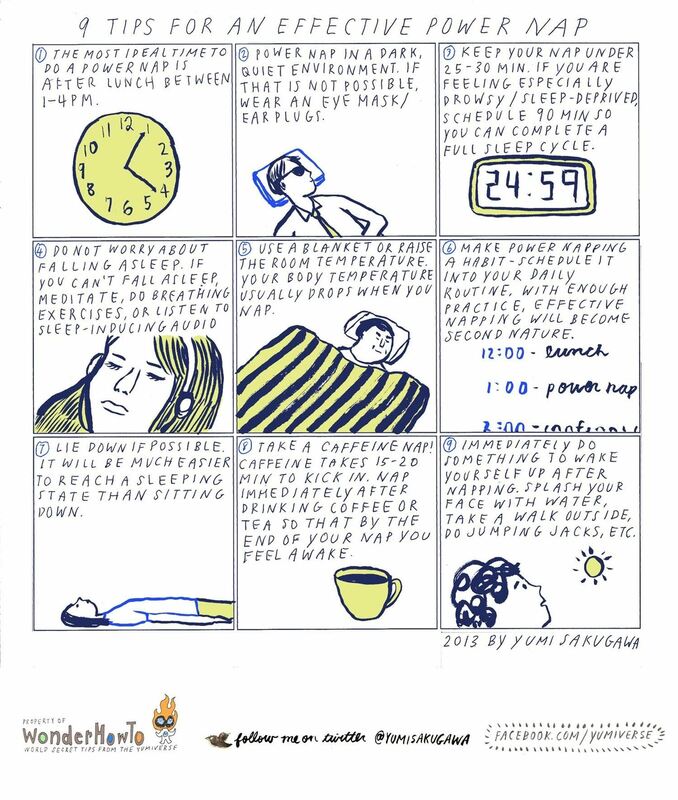 Got your own tips for napping? Share with us. For more napping tips, check out this WonderHowTo guide on perfecting the art of the 10-minute power nap. You've done it again, Yumi! Nice!